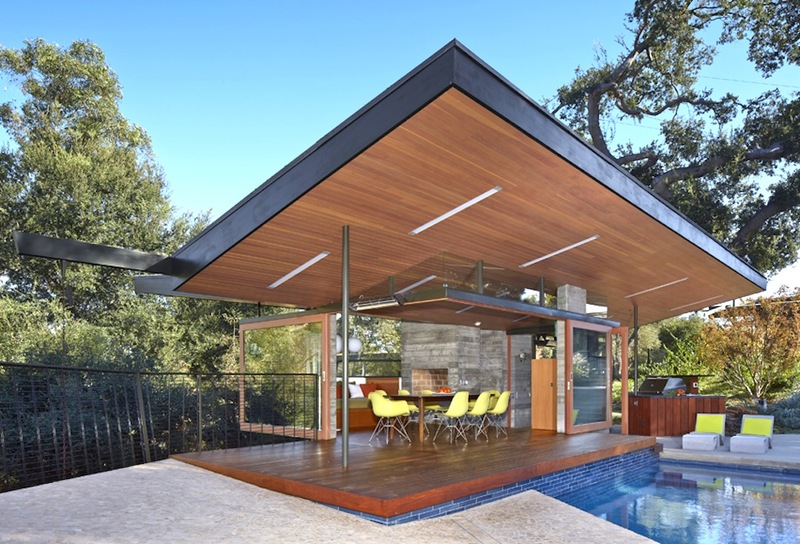 The pool house presents itself as a graceful pavilion partially floating over the water’s edge. 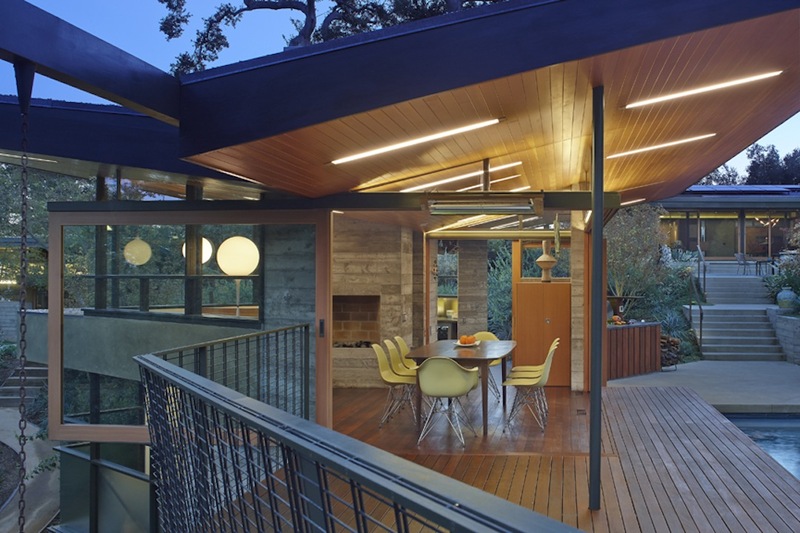 Its butterfly roof, cantilevered from a stout central concrete tower houses a brick oven and a fireplace, providing a two-sided hearth for cooking and dining. 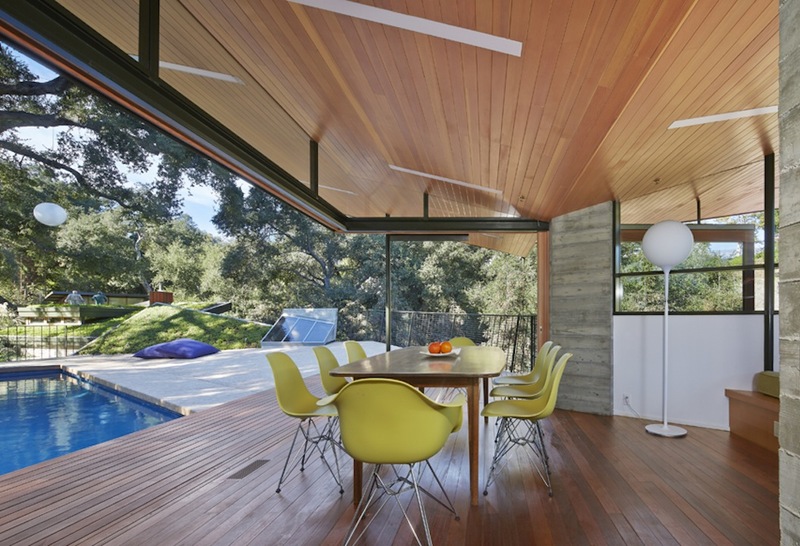 Large sliding doors transform the dining area into an open affair overlooking the water while a fireplace-adjacent built-in daybed hovers over the treetops. 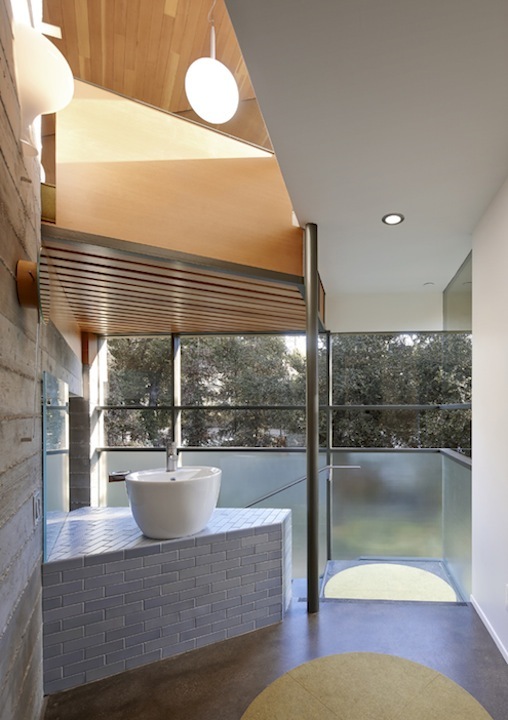 Through the center of the hearth, a concrete stair winds it way down, first to a landing for washing and changing, and past the inner sanctum of the spa. 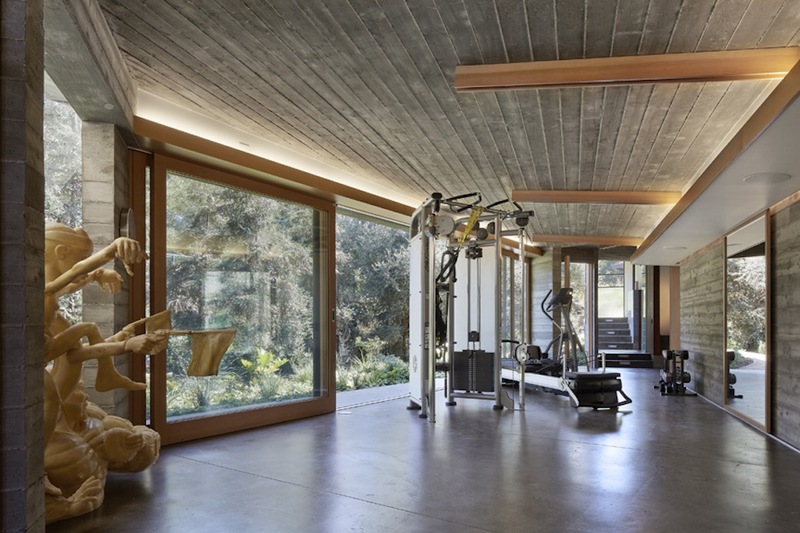 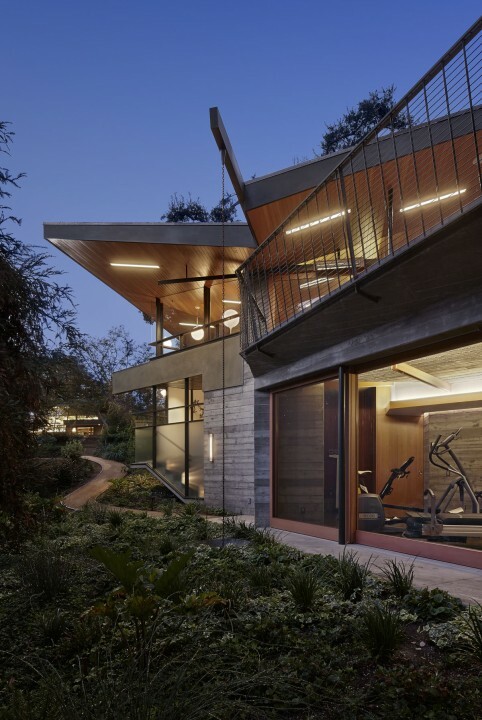 Below the sundeck, and against a length of a concrete wall, the gym opens to a woodland landscape as its outer edge bends in response to the terrain. 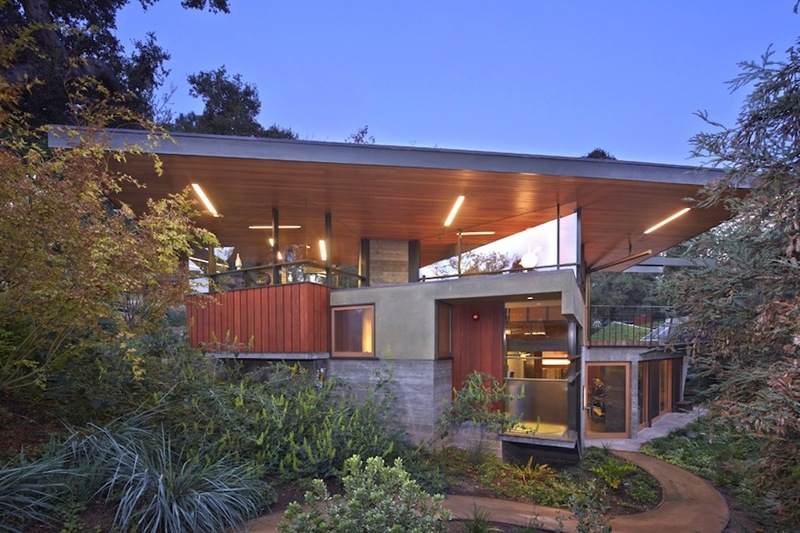 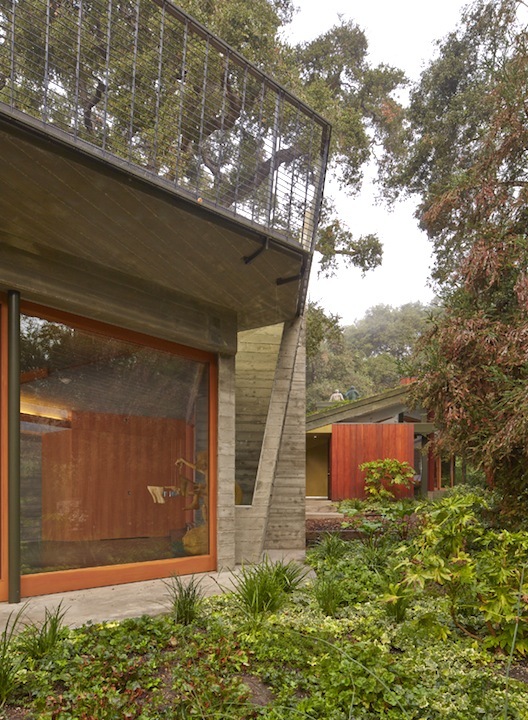 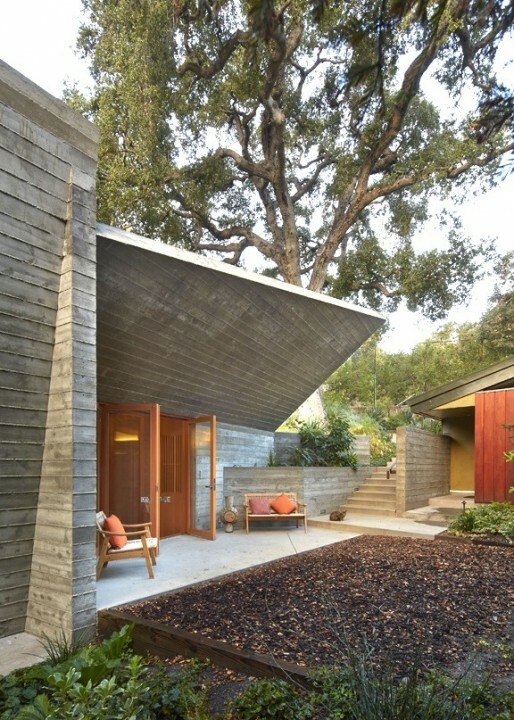 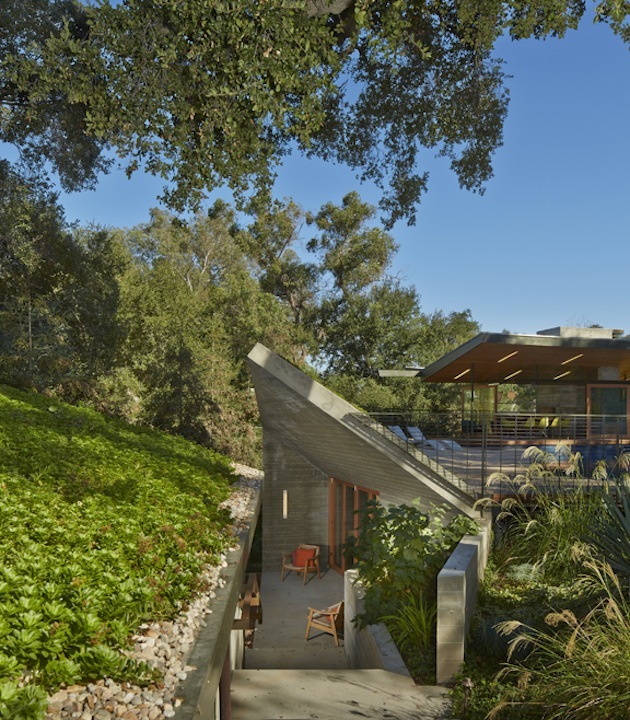 At the far end, a light shaft penetrates from above, and a concrete canopy rises to mark the linkage to the guest house and reconnection to the landscape above. 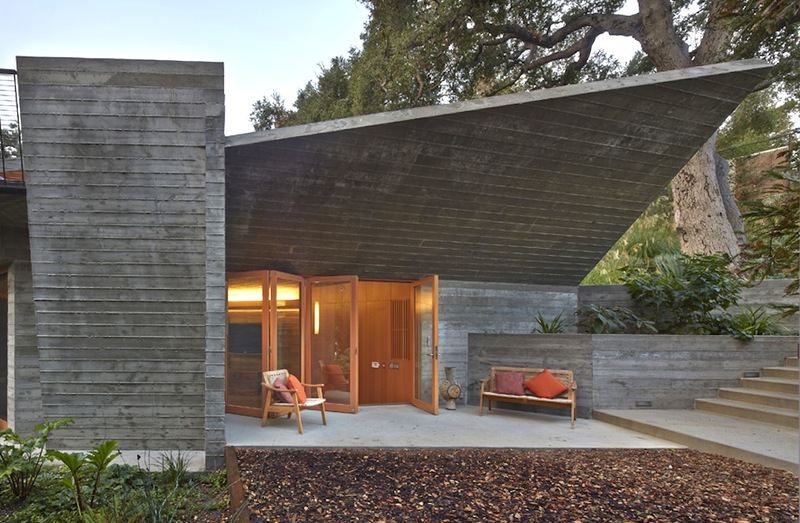 At once building and landscape, the Blodgett-Calvin Pool House replaces the grounded predictability of the everyday; and evokes the visceral otherness that is encountered in the simplest and most primitive forms of shelter.